Cecily and Fiona are putting this on and it’ll be the same weekend as the Bicycle Film Festival. Two good reasons to visit New York in the summer. Sponsors: Bicycle Film Festival, Neighburrito, Fifocycle, Laek House, Sonadei, Outlier and all the great prizes made by the players. 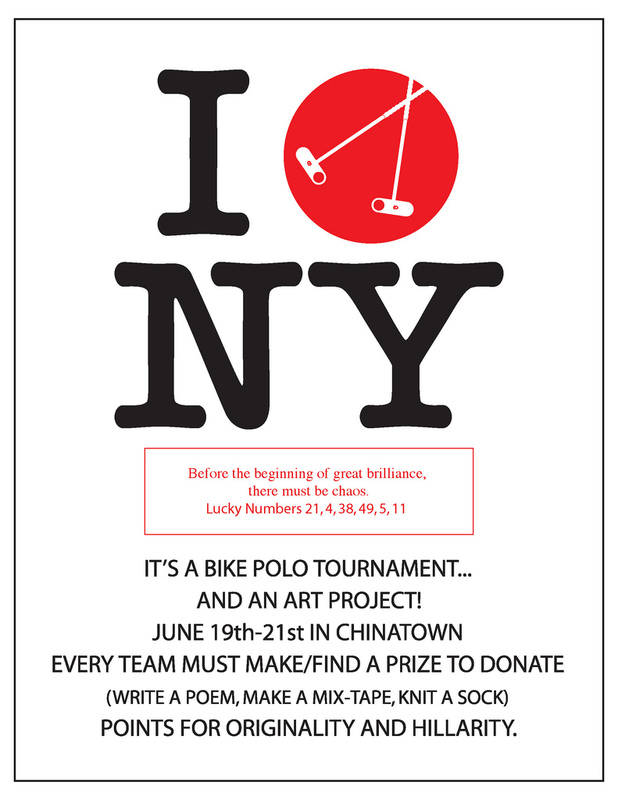 This entry was posted by Doug D on May 11, 2009 at 6:32 pm, and is filled under Art, Bike Polo, Events-Past, New York, Past Polo Events. Follow any responses to this post through RSS 2.0. You can leave a response or trackback from your own site.